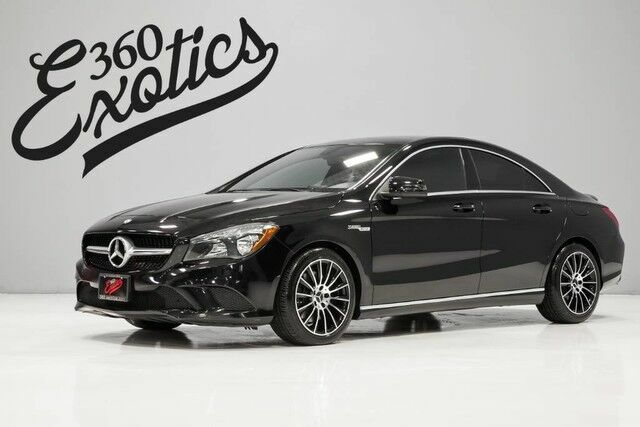 You can find this 2014 Mercedes-Benz CLA-Class CLA 250 and many others like it at 360 Exotics. Your buying risks are reduced thanks to a CARFAX BuyBack Guarantee. This vehicle has extremely low mileage on the odometer, so while it's pre-owned, it's practically new. The look is unmistakably Mercedes-Benz, the smooth contours and cutting-edge technology of this Mercedes-Benz CLA-Class CLA 250 will definitely turn heads. The CLA is Mercedes-Benz' attempt to compete with the likes of the diminutive Audi A3 and the BMW 1-series. As the price of gasoline continues to rise, compact luxury cars get more and more popular. Buyers will continue to want all of the technology and luxury features of larger cars without the size or fuel consumption. Mercedes-Benz hopes that attractive styling, a low base price, an upscale name and lots luxury know-how, will be enough to convince buyers to take a serious look at the CLA.